Many travelers concur that the Bradt’s Guide to Northern Tanzania is the very best Tanzania guide book out there. The 3rd Edition focuses solely on the island of Zanzibar and the northern regions of Tanzania. For most tourists, this is sufficient, since these areas encompass about 95% of Tanzania’s tourism. 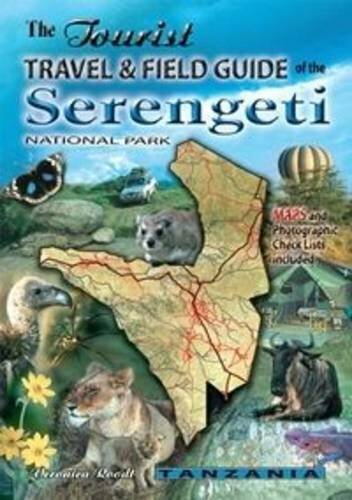 The book covers the four parks in the north, Serengeti, Tarangire, Lake Manyara, and Nogorongoro Crater. It also talks about Arusha, Moshi, and the area surrounding Mount Kilimanjaro, and of course, Zanzibar. Besides the typical guides to each area, the book includes tons of practical information that is crucial for travels to East Africa. Briggs and McIntyre discuss things like what to do if you contract parasites, how to do banking, and embassy information. It even includes wildlife photos and a map. If you’re going to do the typical Tanzania experience, like the parks, the resorts, or the mountain, this is the book for you. Although Tanzania Safari Guide was published around the same time as Northern Tanzania by the same authors, it is a different book with a different focus. That being said, it’s also a traveler favorite and has received great reviews from both the press and everyday folk. 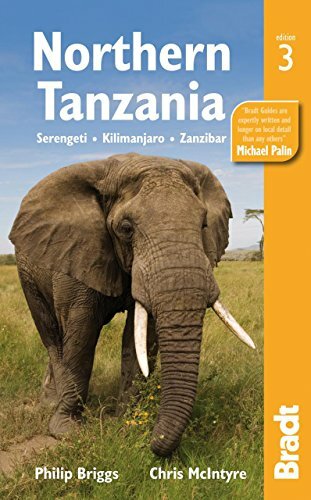 The difference between this book and Northern Tanzania is that this guide is focused on the wildlife of Tanzania and how you can best see it. 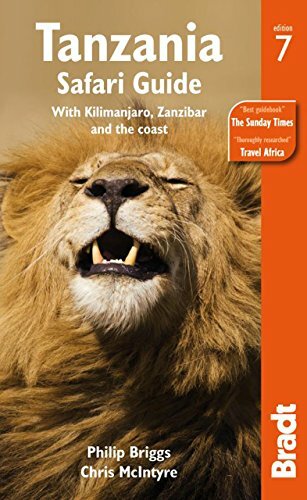 It includes guides to all of the safari parks and other wildlife reserves, plus travel tips and enough information to keep you sane and healthy on your trip. Besides this, it also gives good background information into local history, culture, and geography as well as copious wildlife facts. You’ll even have a chance to learn a little Kimaasai and Swahili, the two main languages of the region! Basic vocabulary for both these languages is introduced to help you get around and engage in the culture of Tanzania. Zanzibar was once its own country, so it has a culture and vibe distinct from the rest of Tanzania. It’s a wonderful Indian Ocean island to explore! 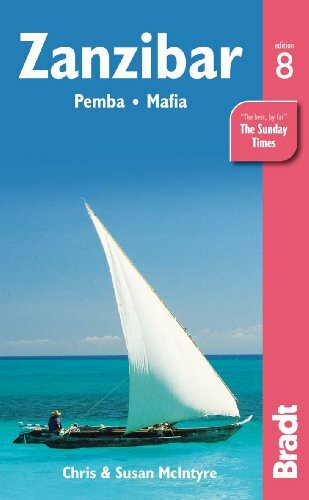 If you’re sticking to the usual Zanzibar itinerary of Stonetown and spice tours, this is a great book! It doesn’t talk too much about activities outside of Stonetown, but if you’re not going to do anything outside this region, you don’t really need anything else. One nice feature of this book is that it focuses heavily on ethical travel. This is great, especially for a place like Africa, which doesn’t have the same restrictions and requirements as other more developed areas. Traveling with a clean conscience is made easier through this book. The book includes everything you need to know about good accommodations, restaurants, activities, and safety on the beautiful island of Zanzibar. The Lonely Planet guide to Tanzania is smaller than most guides, which makes it perfect to pack on your trip. The downside is that it doesn’t have quite as much information as other guides. It’s also not specialized, so its broadness may not appeal to those who are sticking to one spot. 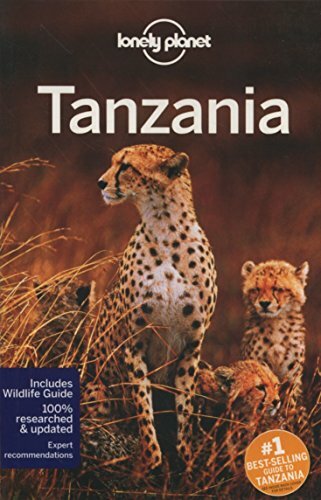 That being said, it is an extremely popular book preferred by many tourists to Tanzania. This guide book will give you plenty of background information for your trip: culture, history, and local facts that will make your trip more interesting. It also offers good contact information for your excursions, as well as info on the parks and other popular Tanzania destinations. Unlike a lot of other guide books, it also has colored pictures! This makes it a lot of fun to skim through. It’s also filled with maps of pretty much any place you might want to go in Tanzania. 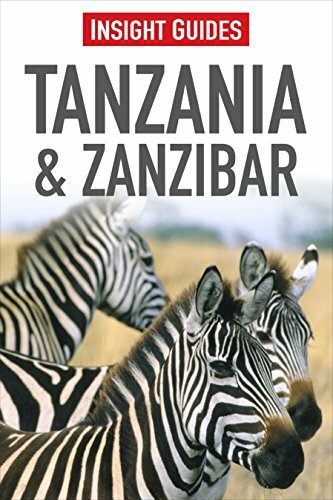 The Insight Guides book on Tanzania and Zanzibar covers both rural and metropolitan destinations in detail, which isn’t typical for Tanzanian guide books. It’s nice though, because you may want to hang out in the capital of Dar es Salaam between safaris and dive expeditions. The guide book also gives a lot of history on Tanzania (especially the areas that it features) and plenty of cultural insight. Plus, it’s filled with maps and tips that will help you get around easier. If you read this book, you’ll be unlikely to offend an elderly person with the wrong kind of handshake or find yourself in another embarrassing predicament. Most travelers want nothing more than to extend the same kindness and courtesy to welcoming locals, but quickly discover than their culturally awkward ways end up with good-natured laughter and teasing from Tanzanians. There’s nothing wrong with laughing a little at yourself, but it’s definitely nice to be able to interact the African way. 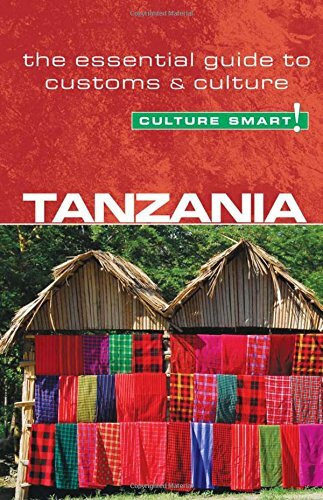 Culture Smart’s Tanzanian guide will give you the essentials of being culturally correct when you’re in Tanzania. The guide will teach you how to dress appropriately, how to greet people, special words to use when addressing the elderly, and cultural nuances that you’d be likely to miss on your own. This book is great for travel, but it’s excellent for anyone who is hoping to forge a business relationship within the country or even more to Tanzania. We all need that dual-cultural friend who can keep us from cultural faux pas, and this book can be that friend to you. Mount Kilimanjaro is not for the faint of heart. After all, it is Africa’s highest peak! Kilimanjaro– The Trekking Guide to Africa’s Highest Mountain makes summiting the mountain doable, though. The book is written with newer climbers in mind, although it’s full of great info that even veterans will enjoy. 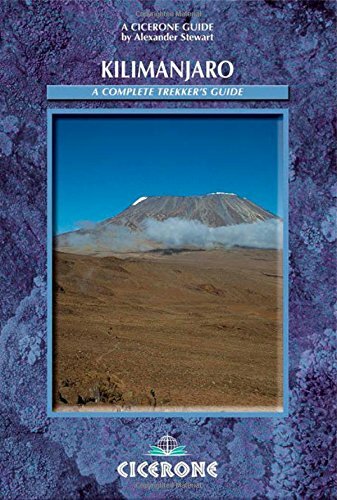 The author has literally climbed every inch of the trails he mentions, which makes this comprehensive book the expert source for Kilimanjaro excursions. Although it is heavy and will add weight to your pack, it’s actually a good one to pack for the actual climb. Maps, GPS waypoints, and pertinent information will guide you up the trails to the top of the highest point on the continent. As a plus, the book also includes plenty of information on nearby town and activities. A Girl’s Guide to Climbing Mount Kilimanjaro is written specifically for women. While it’s not a comprehensive guide to the mountain, it isn’t meant to be. So if you’re looking for all things Kilimanjaro, find something else. 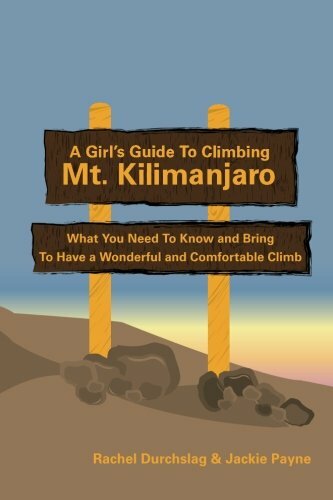 This little book is a nice companion for female climbers, since most other Kilimanjaro books tend to be written by men with a man’s perspective. This guide book is a good addition to one of those guides, since it addresses women’s issues and other things that men might not think of. It’s also a quick and easy read, so you can read through the whole thing in preparation for your climb, and it’s also light enough to tuck away in your backpack without adding unnecessary bulk. If you’re an eco-conscious traveler, you’ll like Kilimanjaro: A Trekker’s Guide. 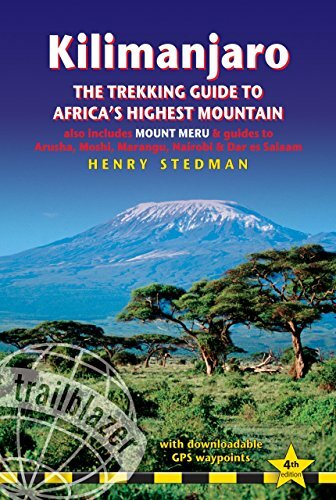 This guide book not only teaches you all about the trails and how to climb them, but it also offers excellent tips on how to keep Kilimanjaro beautiful and protect the rich African natural resources while you climb. The book was published quite a while back, as you can see, so some of the information is out of date. However, it’s still an excellent resource for taking on Africa’s highest mountain. This guide will educate you on the risks and rewards of climbing Kilimanjaro, and it will make you excited to go and do it! Tuck the book in your backpack, because you’ll want to learn the history and geography of your surroundings as you climb. Besides Kilimanjaro, this book also discusses Mount Kenya, the other giant in East Africa. This is ideal if you’re hitting up both East African mountains in the same trip—bringing one book rather than two is always a plus for limited baggage. Serengeti National Park is an amazing place. There’s really nowhere on earth quite like it. Within miles and miles of protected land, wild animals freely live the way they have for thousands of years. Lions stalk their prey, top predators as they have always been in their natural environment. Giraffes run at top speeds, although their long legs make them appear to move in slow motion. The grass of the savanna waves in the wind, and here and there safari trucks full of wide-eyed visitors kick up the red African dust. If you’re planning to be one of those wide-eyed visitors, you’ll need a guide book like The Tourist Travel and Field Guide of the Serengeti. You’ll encounter so many new and strange plants and animals that you’ll need a reference to identify them all. This book includes a wildlife guide so you can be well-equipped and familiar with the things you see during your safari. Besides tons of color as well as black and white photographs, the guide book also includes maps and advice on what to see and do during your trip to Serengeti National Park.